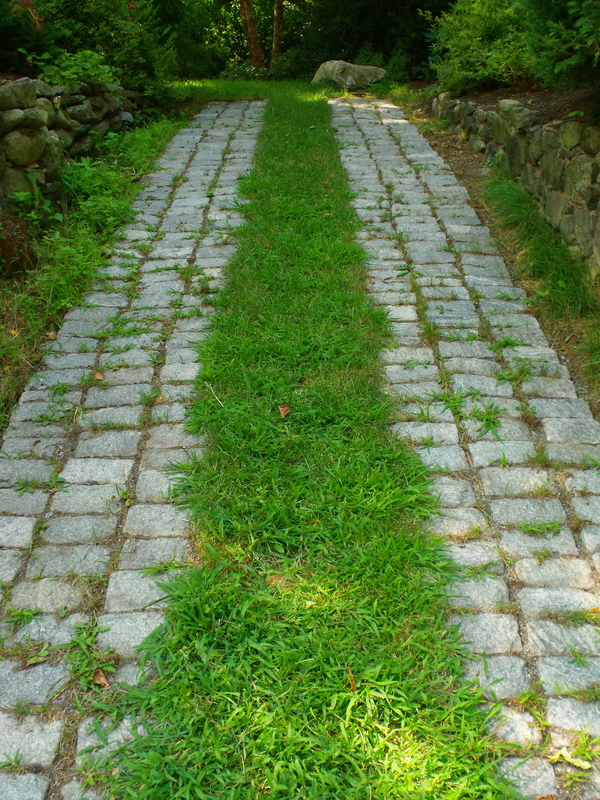 A hybrid grass/cobblestone driveway on Academy Street, August 9, 2010. I work for the City of Wilmington in NC and we are updating some signs about improving water quality. Ribbon driveways are a great way to decrease the amount of stormwater flowing into the streets and stormdrains. Would it be ok if we used this image for an educational sign at a park? Proper photo credit would be given of course.